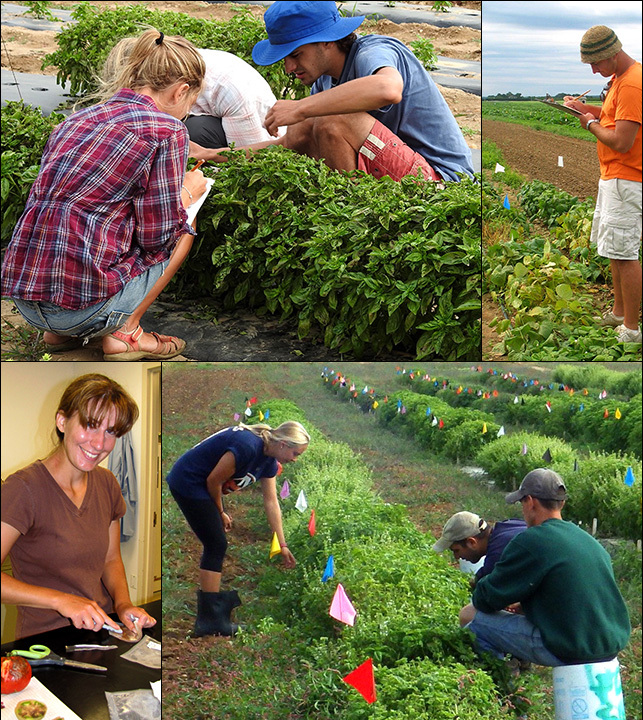 About – Research and Extension program descriptions, contact info. Photo gallery – Images of and information about diseases and disorders on vegetable, herbs and strawberries. Research – Annual program summaries and project reports, current applied research projects, research summarized by topic, publications, presentation files, and more. Extension – Projects, extension articles, meeting proceedings, presentation files, and more. Organic – Info on managing diseases for organic growers. News – Recent additions to the site. Research assistants with the McGrath program helping with experiments on basil downy mildew, ozone injury to beans, and tomato late blight at the Long Island Horticultural Research and Extension Center. 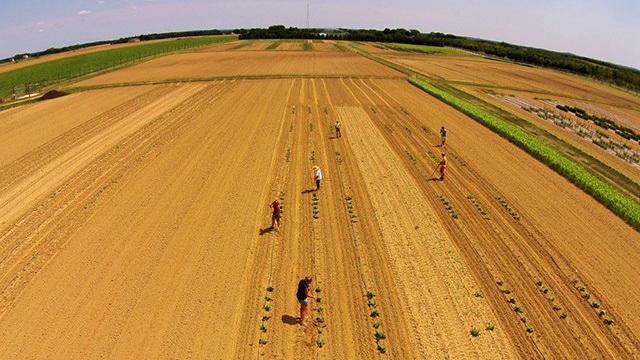 Aerial view of vegetable pathology research plots at the Long Island Horticultural Research and Extension Center.